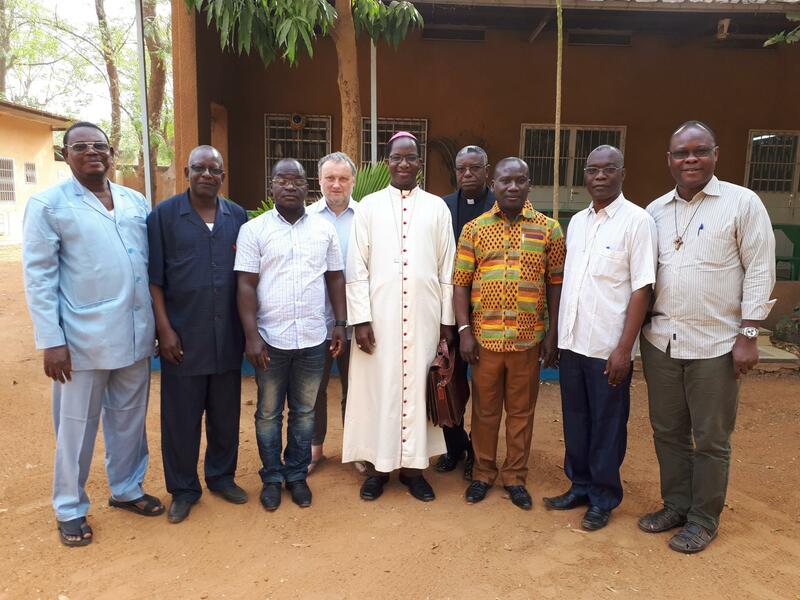 From the 19 to 24 February the members of ARNECAO (Association of the national responsibles for the catholic teaching in West Africa) met at the Archbishopric of Niamey for their annual General Assembly. During this reunion each participant has presented its report about the situation of catholic teaching in its respective country: Niger, Senegal; Benin; Togo, Mali, Burkina Faso, Ivory Coast. For the first time, Nigeria took also part in this meeting. The examination of these reports shows clearly how the situation of the catholic teaching in each of these countries is difficult. The financial problems are enormous. In many countries the state does not help the catholic schools and sometimes even considers them to exist only to generate incomes. Sometimes even the bishops themselves believe that the schools are simply a source of income for their diocese. The school can just be a service offered by the Church, especially to the poorest. A too big difference between congregational schools and diocesan schools can be observed. The catholic teaching has therefore to invest a lot of energy to pursue its mission. It should profit from the support and the help of the big international community of catholic education.